Compete to Win is a strategic planning and troubleshooting consultancy that works with blue chip consumer companies. Compete to Win helps boards take quick informed decisions that step up ability to compete and deliver improved market and financial performance. Discover more by viewing some short case studies and testimonials. 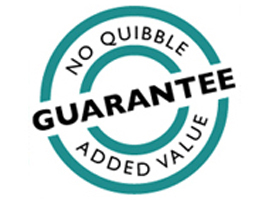 Uniquely, Compete to Win operates with a no quibble added value guarantee. Different companies have different problems. However, what every company aspires is to be larger, grow faster, operate more efficiently and become significantly more profitable. Compete to Win works collaboratively to help you develop your own solution to your business critical issue. By actively engaging you, we ensure you own the solution and consequently are highly motivated to drive the implementation with commitment, passion and pace. Compete to Win uniquely guarantees the quality of its work and that the added value will exceed its fees. Should the added value be questioned, the client is at liberty to pay what it believes the work to be worth. Since 1997, Compete to Win has worked with many prestigious blue chip companies. Discover more by viewing some short case studies and testimonials.